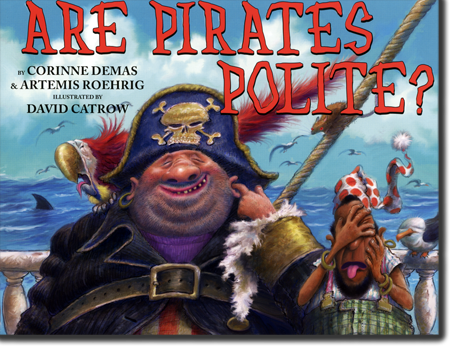 Corinne Demas -- Are Pirates Polite? but Pirates still say "please" and "thanks"
Pirates may duel and plunder booty, but when they do so, they are polite! The fun, rhyming text shows Pirates' rowdy activities and teaches manners. If Pirates can be polite, surely young readers can, too! Demas and Roehrig, the mother-daughter team behind the recent Does a Fiddler Crab Fiddle?, establish a playful, singsong rhythm as they jump between bad behavior and good. 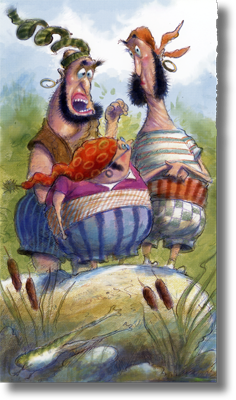 . . Catrow’s caricatures will keep many readers giggling as these scallywags try—more or less—to mind their manners. Children’s books usually have a dual mission — to engage young readers, but inform them as well. 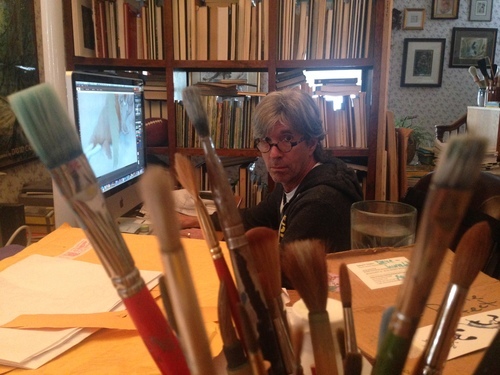 This new picture book fulfills that mission with gusto and fun.... This book’s illustrations, by David Catrow, embody the message of the book. Catrow’s pirates and parrots explode off the page, but somehow they always look approachable and even (although one would never want to hurt the pirates’ feelings by telling them this) rather sweet. 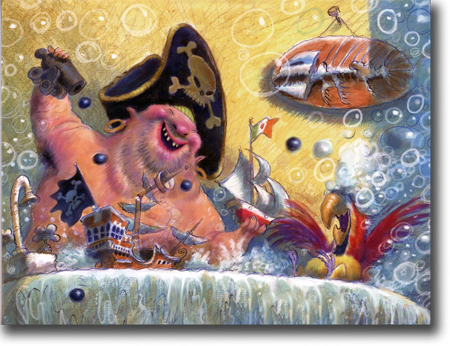 Through funny, rhyming text, kids learn that pirates actually have good manners. They say please and thanks, and although they can be rowdy up on the deck of their ship, they use their inside voices when down below. Pirates share their treasure equally, they don't interrupt one another, and they respect one another's privacy and don't go barging in through closed door; they always knock first.Through these and other things pirates do to be polite, kids will laugh along with this zany bunch of pirates that hilariously emphasize that good manners are important. 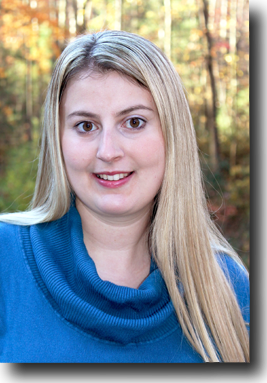 "Turning the Cape into children’s lit"
"A family affair: Amherst writer and daughter co-author two children’s books"
Artemis Roehrig is the co-author of Does A Fiddler Crab Fiddle? and the forthcoming Do Doodlebugs Doodle? both published by Persnickety Press. She lives in Western Massachusetts and loves to share stories with her two children. David Catrow is the award-winning illustrator of numerous books for children, including Monster Mash, the Max Spaniel series, Take Me Out of the Bathrub and Other Silly Dilly Songs, and Have Fun, Molly Lou Melon. He lives with his wife, Debbie, and their dogs.